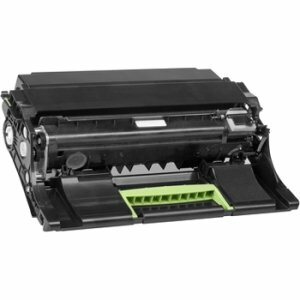 High-quality imaging unit is essential to Lexmark print system performance in Lexmark MS610de, MS610dn, ms610dte, MS510dn, ms410d, MS410dn, ms310d, MS310dn, MX611de, mx611dfe, mx611dhe, MX611dte, MX610de, MX511de, mx511dhe, MX511dte, MX510de and MX410de. 500Z imaging unit is designed to work best with Unison toner to perform in an innovative, shake-free print system. Genuine Lexmark supplies are engineered to work best together with your Lexmark printer, delivering excellent print quality from the first page to the last. Imaging unit offers a 60,000-page capacity.